Chicken Parmesan Roll Ups are an easy appetizer loaded with your favorite Italian flavors! These poppable chicken pinwheels will fly off everyone’s plate! Are you guys ready to try my best pinwheel recipe yet?! There’s this ongoing obsession with chicken parmesan in my house. It’s the dish that won my husband’s heart and I’ve been making variations of it ever since. We’ve done Chicken Parmesan Dip, Chicken Parmesan Lasagna, Chicken Parmesan Pizza, and now Chicken Parmesan Roll Ups! These little bites of Italian-inspired deliciousness are great for every occasion from game day to birthday parties to weekend cookouts with friends. Heck, I’ve even made them for an easy dinner option and served ’em up along aside a green salad. But what really makes these wraps is using quality chicken. 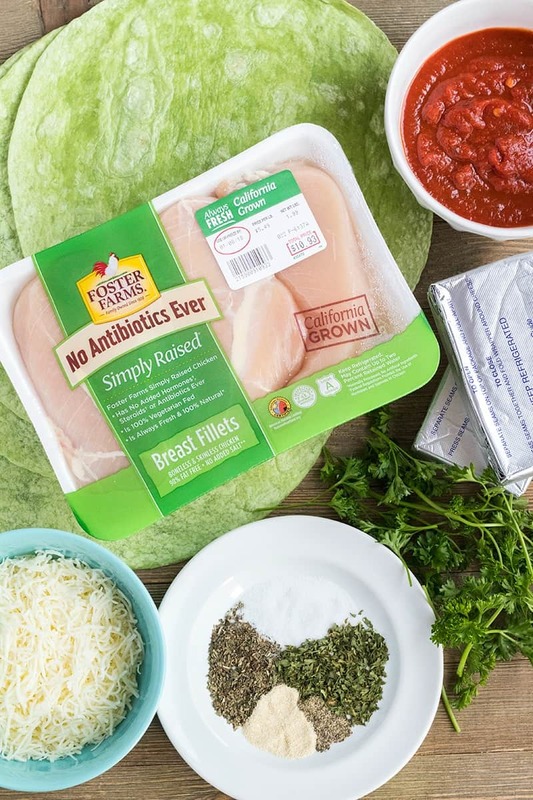 Enter Foster Farms® Simply Raised Chicken with No Antibiotics Ever. This is chicken worth talking about kids, so big thanks to Foster Farms® for sponsoring this post, bringing more damn good food, and helping us start the year off fresh! I was able to pick up a couple packs of Foster Farms® Chicken at my local Target superstore, which worked out great because I practically live there. I love being able to find everything I need to help my family eat fresher, more natural, healthier foods at my favorite store! Target has Foster Farms® Simply Raised Chicken with No Antibiotics Ever chicken breast filets, drumsticks, and party wings so it was just a matter of picking what kind of chicken dish I wanted to whip up. SO many possibilities! Since chicken breasts are a staple at my house for dinners and appetizers, I went with the Foster Farms® Simply Raised Chicken Breast Fillets. And you guys, the chicken was SO good! Seriously. I was expecting it to taste like any other chicken I’ve bought at the store. But I cooked up the breasts with a little salt and pepper and they were delicious. I cooked extra chicken to add to my salads during the week and I couldn’t stop snagging little bites. Maybe it’s because Foster Farms® Simply Raised Chicken has no antibiotics ever or because it’s 100% vegetarian fed. Either way, this chicken caught my attention, and that’s saying something. 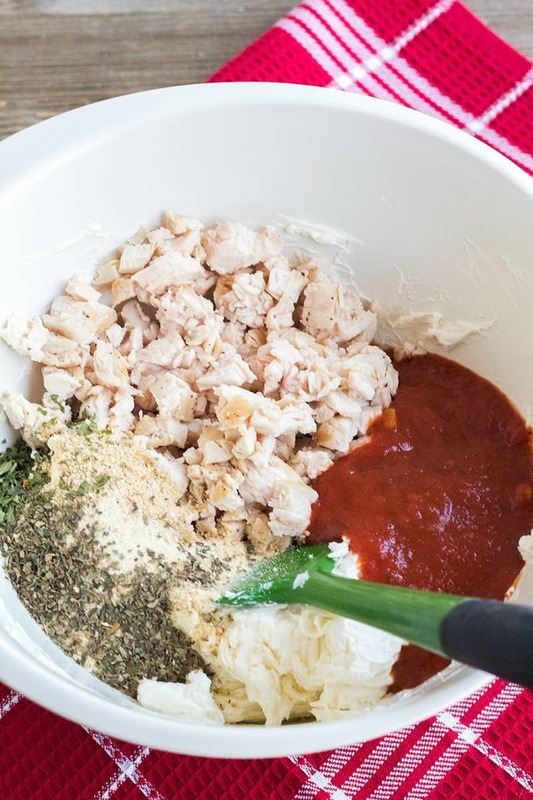 To this crazy good chicken, I add my usual chicken parmesan ingredients – pasta sauce, bread crumbs, mozzarella, and seasonings. Then to make these chicken pinwheels pretty, I wrapped them up in spinach tortillas for some color variation. I love that we get all the Italian flavors we crave without running the oven or having all those dishes. Now, these chicken parmesan roll ups may not have a crispy coating like the original recipe, but they’re so tasty you won’t even care. This recipe is a high-protein meal for all your family & friends you can make ahead of time and serve when ready. 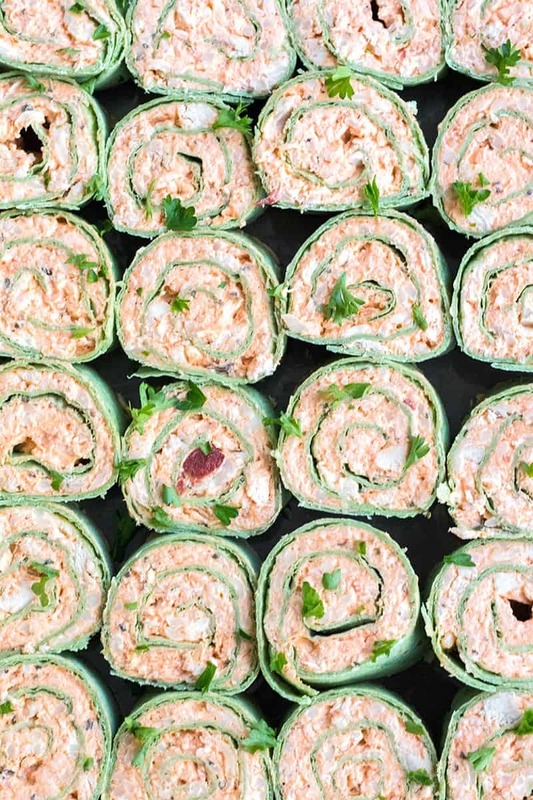 To help make these roll-ups lighter you can use low-fat cream cheese and skim milk mozzarella too. 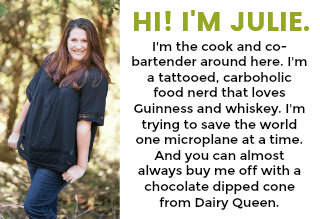 Easy swaps to help you serve up healthier bites at your next get together. If you’re still hemming and hawing about these pinwheels, stop. I took them to my stepmom’s house for Christmas Eve, we were having an Italian food potluck, and they flew off the serving plate. My sister’s boyfriend liked them so much she asked if she could keep all the pinwheels that were left. That’s how you know a recipe’s good. When someone wants them all for themselves and doesn’t care who else gets one. Make these roll-ups, take a bite, and dive into Italian-style chicken goodness you’ll want to have again and again! Can’t get enough appetizers in your life? 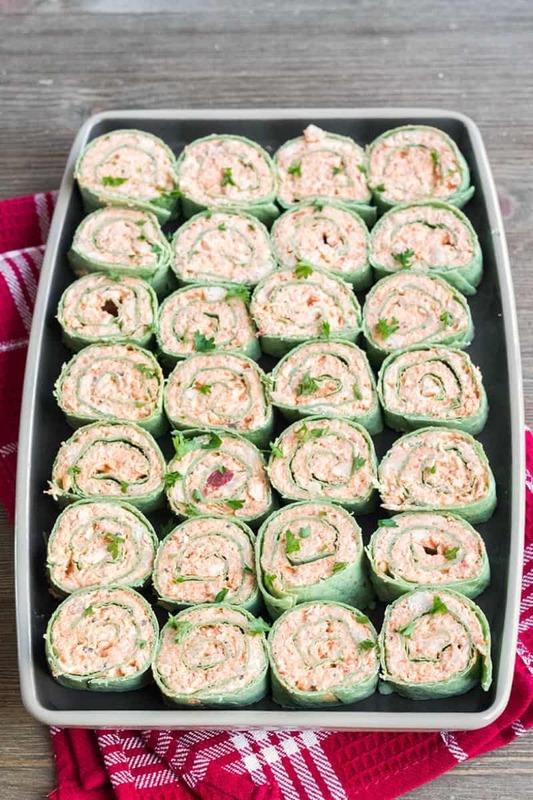 I also love serving these roll ups for cocktail parties or holiday parties! 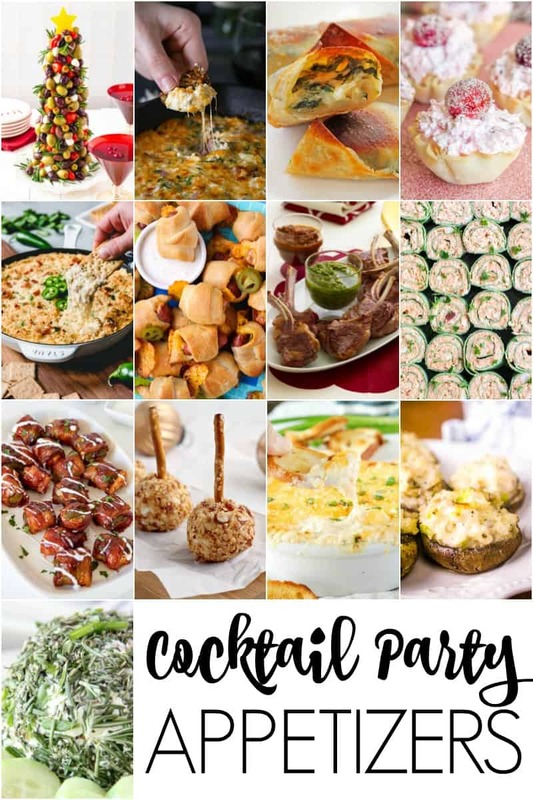 Grab some of our favorite cocktail party appetizers below and get ready to have a great holiday season! Chicken Parmesan Roll Ups are any easy appetizer loaded with your favorite Italian flavors! These poppable chicken pinwheels will fly off everyone's plate! Heat a large skillet over medium heat. 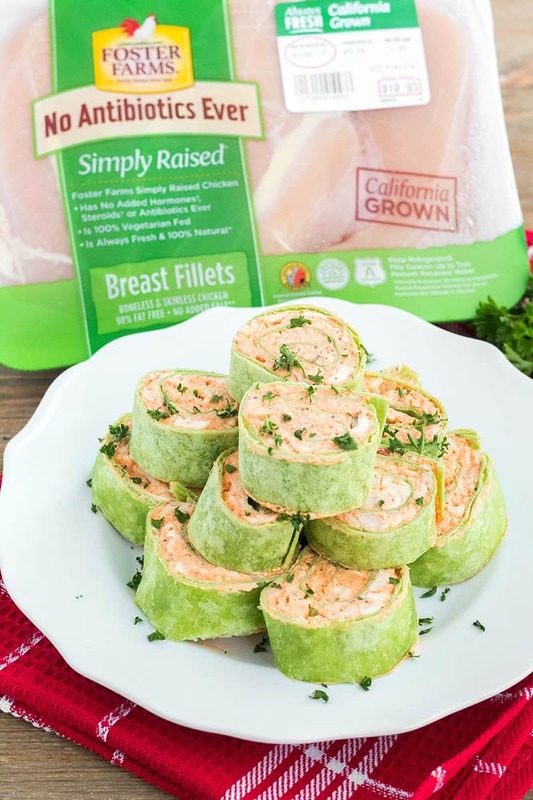 Cut the Foster Farms® Simply Raised Chicken breast in half lengthwise (like you're going to butterfly it and then cut all the way through) to create 2 thin breast pieces. Season both sides with salt and pepper. Cook 3 to 4 minutes per side until no longer pink. Remove from heat to a cutting board. Let rest. Once cool enough to handle, dice cooked chicken. You should have about 2 cups once it's all diced. In a medium mixing bowl, use a large spoon or rubber spatula to blend together the cream cheese, mozzarella, and Parmesan until evenly combined. Add chicken, pasta sauce, breadcrumbs, dried basil, dried parsley, onion powder, salt, and pepper to the cheese. Mix until evenly combined. Place a tortilla on a flat surface. Spoon 1/4 of the chicken mixture on the tortilla. Use the back of a spoon or an offset spatula to spread the filling over the tortilla. Gently roll one end of the tortilla up until you make a log, being sure the outside edge is sticking to the tortilla log. 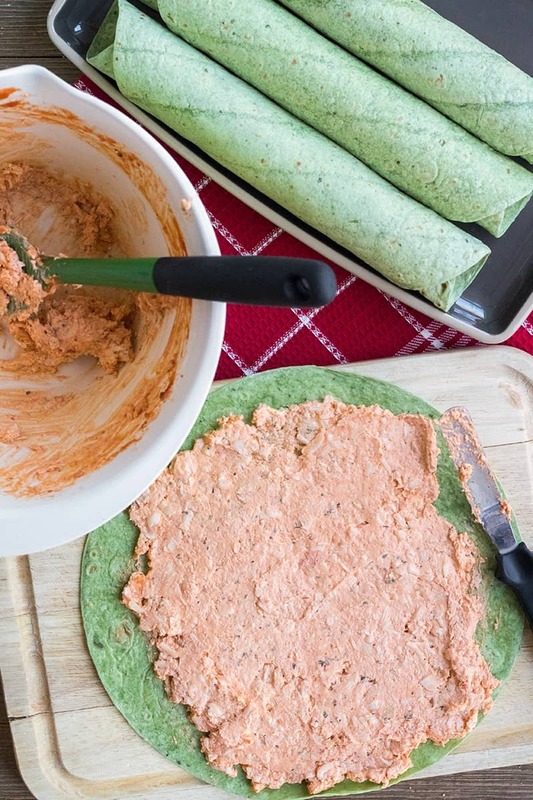 Place roll up on a plate and repeat with remaining tortillas and chicken filling. Remove the roll-ups from the fridge. Use a sharp knife to remove one end of the roll up so you have uniform pieces. Cut the tortilla into 8 equal pieces. (You can discard the ends or treat yourself to a little snack!) Repeat with the other tortillas. Place the roll-ups, cut side up, on a serving platter. Sprinkle with a little fresh parsley, if desired, for garnish. Serve immediately, or cover with plastic wrap and refrigerate for up to 3 hours until ready to serve. I like the color contrast of the spinach (green) tortillas. If you prefer to use regular flour tortillas, they'll work just fine. The yield for this recipe will vary depending on how thick you cut your roll ups. What’s the point of the breadcrumbs – just some texture? Won’t they get soggy soaking in the cheesy/saucy mixture? OMG! I totally forgot to add it to the ingredients. That’s horrible. Thank you for bringing this to my attention Marlette! I’ve updated the recipe card. I still do not see the Parmesan Cheese in the ingredients list. These look so darn mouth watering good. I would like to make them for a function in a couple of weeks. Help! Love everything about this! Perfect for kids lunches, game day and parties. I sub out the bread crumbs for pork rinds and use low carb tortillas to make it keto friendly. Thanks for sharing! This a great easy appetizer for the holidays! We’re crazy about chicken parm too, so I know we’d love these.